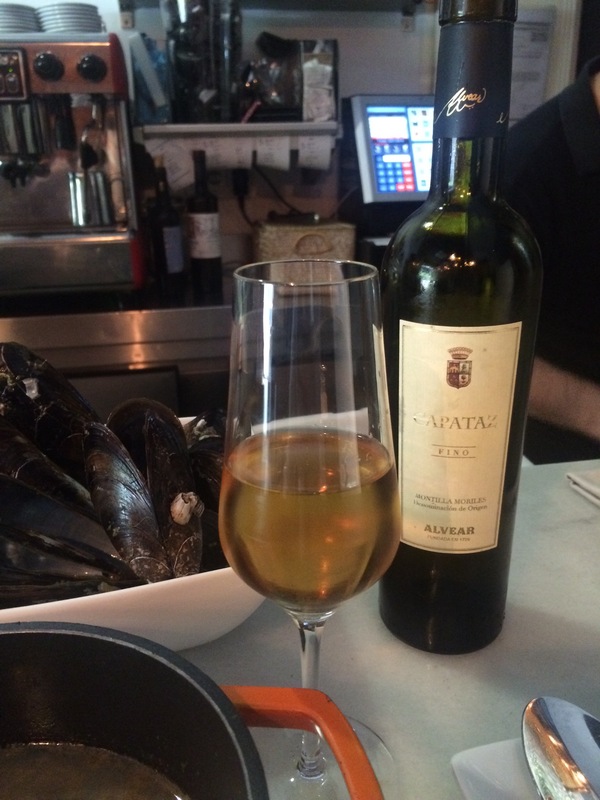 A native of Montilla Moriles and made from 100% pedro ximenez this is not strictly speaking a sherry. 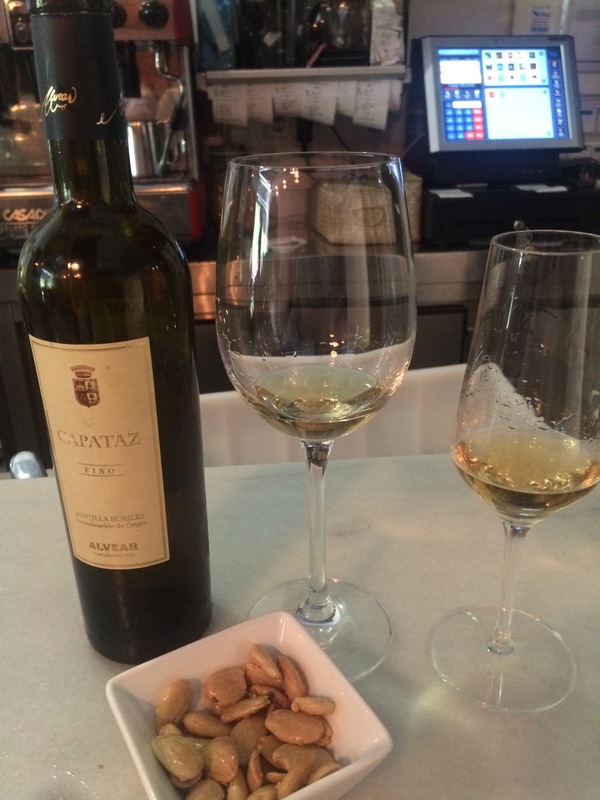 However, with upwards of 6 years under the proverbial flor it is a classic, dry, nutty fino (seen here with the remnants of some very fine mussels in my watering hole of choice – La Chula). It is a dark, old gold colour and seems a bit quiet on the nose – even when switched to a more conducive vessel (and the bigger glass is better – just a better swirl, more surface for the wine to cling to I suppose). It is surprisingly fine and salty in the mouth – not as full in texture as many px finos. In fact the first time I had it blind I thought it was a manzanilla. Flavourwise too there is very little fruit – all nuts, salt and olives. In the finish there is a lovely, fleeting sensation of creamy butter (or maybe olive oil mayonnaise or something). I really love it – this is a top drawer drop.